Adapted by the theater troupe Tall Stories, The Gruffalo invites audiences to join Mouse on a daring adventure through the deep, dark wood. Searching for hazelnuts, Mouse meets the cunning Fox, the eccentric old Owl and the high-spirited Snake. 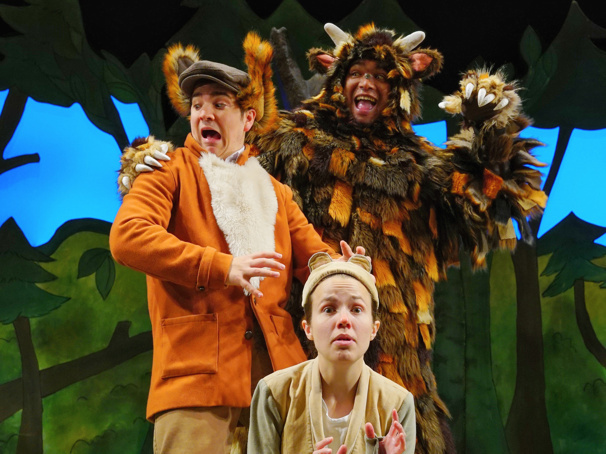 Initial casting includes Rebecca Newman as Mouse, Elliot Rodriguez as the Gruffalo, Jake Addley as Predators and Ashley Sean-Cook as Understudy/Assistant Stage Manager. Joining Mitchell on the creative team is Tall Stories Co-Artistic Director Olivia Jacobs, designer Isla Shaw, puppet designer Yvonne Stone, lighting designer James Whiteside and composers Jon Fiber and Andy Shaw of Jolly Good Tunes.